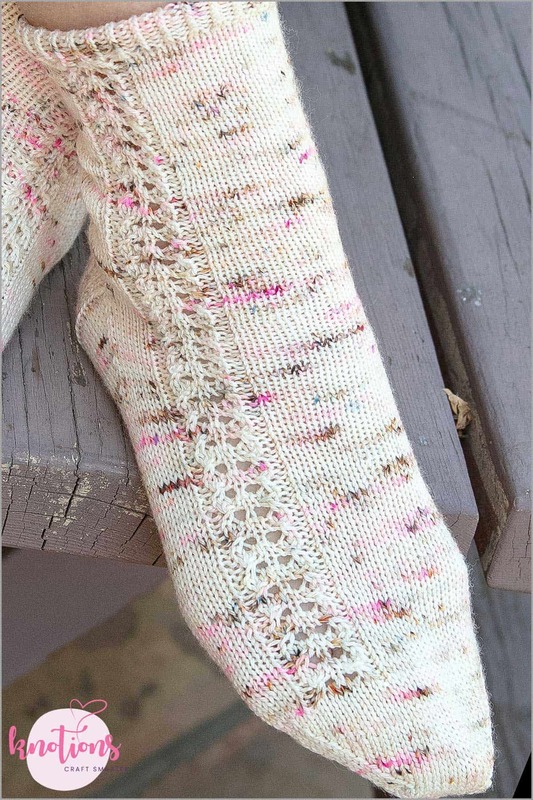 The sugar glaze on cozy pastries that I so enjoy in the fall and winter inspired the lace detail on these socks. This pattern has enough stockinette to make these socks perfect travel or conversational knitting, and the simple lace detail keeps this project interesting. This sock design is worked primarily in simple stockinette, but it has a lace detail that aligns with and runs smoothly from the twisted rib cuff down the side of the leg and foot, stopping when the toe decreases begin. Important: the pattern is mirrored on the socks; therefore the leg instructions are right sock or left sock specific. Cuff instructions are the same for both right and left socks. CO 64 sts. Place BOR m. Begin working in the rnd as fol: (Ktbl, p1) 32 times, for 12 rounds. Work each sock separately according the directions in this section. 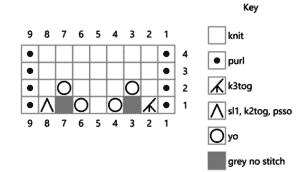 Set Up Rnd: K5, pm, work first rnd of chart over the next 9 sts, pm, k to end. 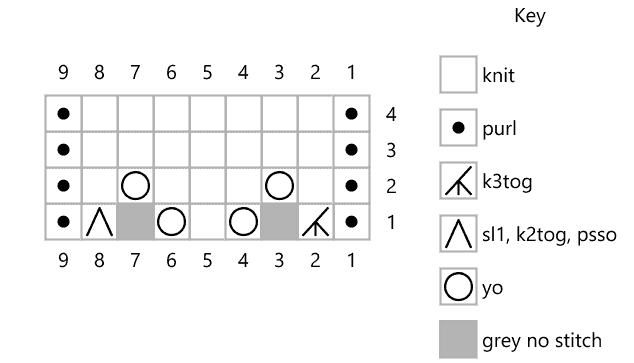 Next Rnd: K5, sm, work next rnd of chart to m, sm, k to end. Cont as established until the leg of the sock is 6” [15.25 cm] from cast on edge. Take note of last chart rnd worked. Set Up Rnd: K18 pm, work first rnd of chart over the next 9 sts, pm, k to end. Next Rnd: K to m, sm, work next rnd of chart to m, sm, k to end. Cont as established until the leg of the sock is 6” [15.25 cm] from cast on edge. Take note of last chart rnd worked. It should be the same rnd as the right sock. For both socks work heel back and forth in rows as fol. Removing BOR m, place the first 32 sts on waste yarn to be worked later. Turn work. Set Up Row (WS): Sl1, p to end. Turn. Row 1 (RS): (Sl1, k1) 16 times. Turn. Row 2 (WS): Sl1, p to end. Turn. Repeat rows 1 & 2 above for 30 more rows. Set Up Row 1 (RS): Sl1, k16, ssk, k1, turn. Set Up Row 2 (WS): Sl1, p3, p2tog, p1, turn. Row 1 (RS): Sl1, k to one st before the gap, ssk, k1, turn. Row 2 (WS): Sl1, p to one st before the gap, p2tog, p1, turn. Repeat rows 1 & 2 above until all of heel flap sts have been worked, ending on a WS row. Instructions are the same for both socks for the rest of the pattern. Resume working in rnds as fol. Rnd 2: K to m1, sm, work in established patt to m2, sm, k to end. Repeat these last two rounds until 64 sts rem: 16 sts from BOR m to m1, 32 instep sts, and 16 sts from m2 to end of rnd. Work even as fol: K to m1, sm, k to m, sm, work next rnd of chart to next m, sm, k to m2, sm, k to end. 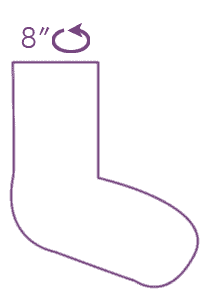 Cont as established until the foot of sock is 2.5” [6.25 cm] shorter than the length of your foot. Rep Rnds 1 & 2 until 24 sts rem. Graft rem toe sts using Kitchener Stitch or your preferred method of grafting. Weave in ends. Soak and block to measurements. Rnd 3 & 4: P1, k7, p1. 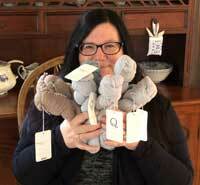 You can see more of Sandra’s designs on Ravelry, and on her website, sandracdesigns.squarespace.com. She is also active on Instagram as @sandrasknits, where you can see what she is working on and her adventures with her Ragdoll cat, Chloe.